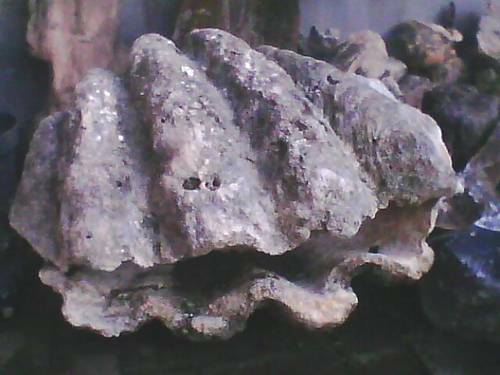 Academics Faculty of Agriculture, Fisheries and Biology, University of Bangka Belitung (UBB), F Rizza Muftiadi ask local governments to protect the population of giant clams (Kima) living on the verge of extinction due to rampant exploitation of shellfish in these waters. "Local governments must protect and prevent the exploitation of giant clams in the waters have started a rare province of Bangka Belitung (Babel)," M Rizza Muftiadi in Pangkalpinang on Monday. M Rizza Muftiadi who is also Member of Penguin Diving Club UBB explains, giant clams are marine animals that live in sand and coral reefs protected by the government based on the Regulation of the Minister of Forestry Decree No. 2 of 1987, No. 301 in 1991 and No. 882 in 1992 to prevent extinction of these animals. "Based on research by diving activities undertaken at several locations such as Jackfruit Island waters of Babylon, the species became extinct and hard to find in these waters. In a stretch of 100 meters or the distance between one point to another spot in the waters Jackfruit found only one tail Giant Shells , "he said. According to him, Babel has the potential for considerable Giant Shells and rich variety of other marine life and to preserve biological resources under the sea, it required a precautionary measure to minimize the exploitation of both sea fishing on a large scale, and mining activities and other cause damage to the underwater world. "Government should protect the animals by issuing rules to protect or establish conservation areas that is not extinct and diversity of marine life is maintained. "These animals should be protected because of its population began to decrease in almost all regions in Indonesia, which is why the central government issued a regulation to protect it, so does the local government should take precautions for this animal did not continue to be exploited," he said. He said the Giant Shells are marine animals that contain high protein and have high economic value and is easy on the can so many were hunted by humans to be sold and consumed. "We hope that local governments concerned and appropriate action against perpetrators who exploit the rules for them to protect from extinction for the diversity of marine life in this province will be maintained," said Rizza.